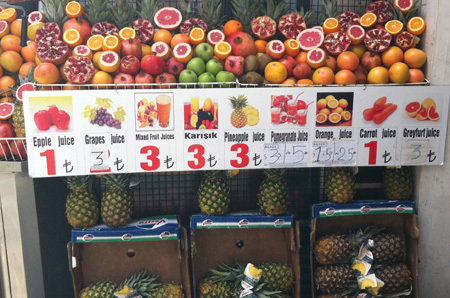 This fruit spelling lessons comes from Istanbul, Turkey. There are many little shops that make fresh fruit juice in the Taksim area in Istanbul. While I was walking down the road to the Galata tower I noticed this sign. I knew I just HAD to have a freshly-squeezed juice from this stand. The only question was, which fruit juice was it going to be? 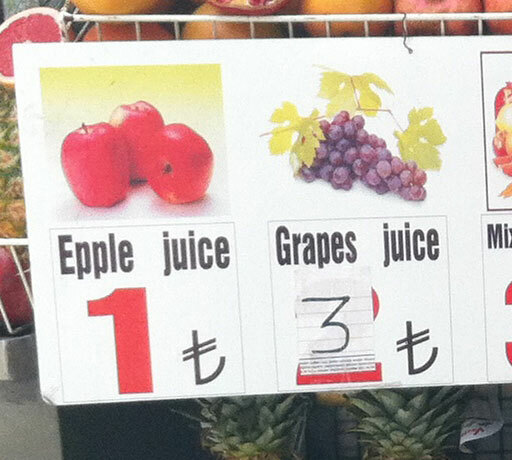 Some delicious “epple” juice? Or some refreshing “grapes” juice? 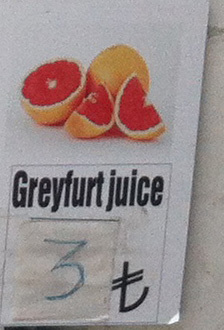 Or maybe a glass of “greyfurt” juice? In the end (= finally), I decided on the “greyfurt” juice. Normally, typos (= typographical errors) are not a good thing. It looks unprofessional and new customers might decide not to do business with the company because of it. For some reason, the typos made me smile and I found it charming. I must admit, I didn’t know the Turkish word for pomegranate (it’s “nar”) so I also learned something new that day! How about you? 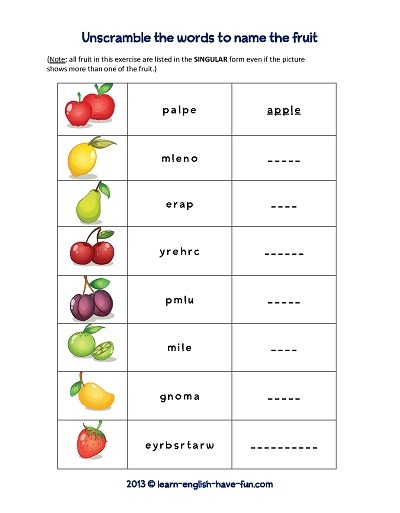 Do you know your fruits (and how to spell them)? Take the mini-quiz below. 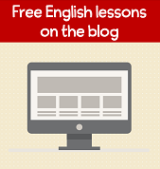 For additional practice download some word puzzles below as well. Time to test your knowledge of different fruit juices. 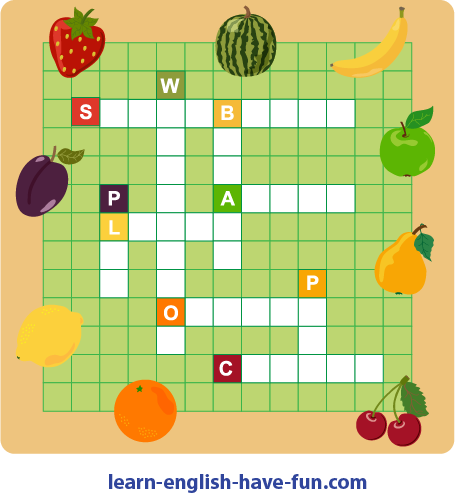 Fill in the blank with the correct fruit name. How did you do? If you didn't get all of the correct, write them down a practice writing a new sentence with them. Which is your favorite juice? Do you drink juice often? Also, to hear these and other fruits pronounced, check out this video.